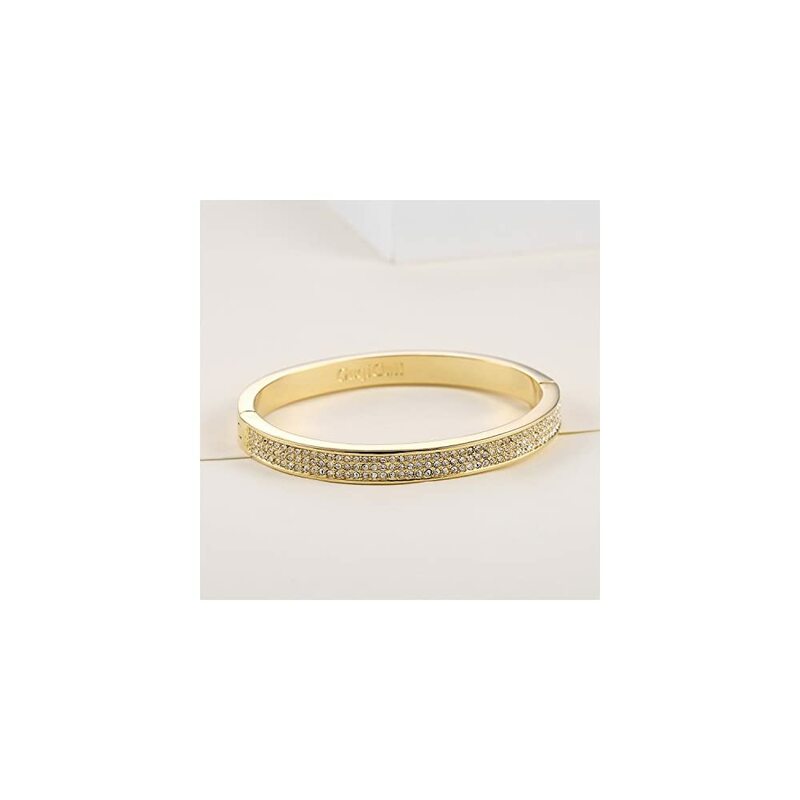 Add sparkle to your look with this shining pave bangle bracelet from GuqiGuli, the bendel rocks skinny bangle bracelets are luxury fashion jewelry that really rocks! 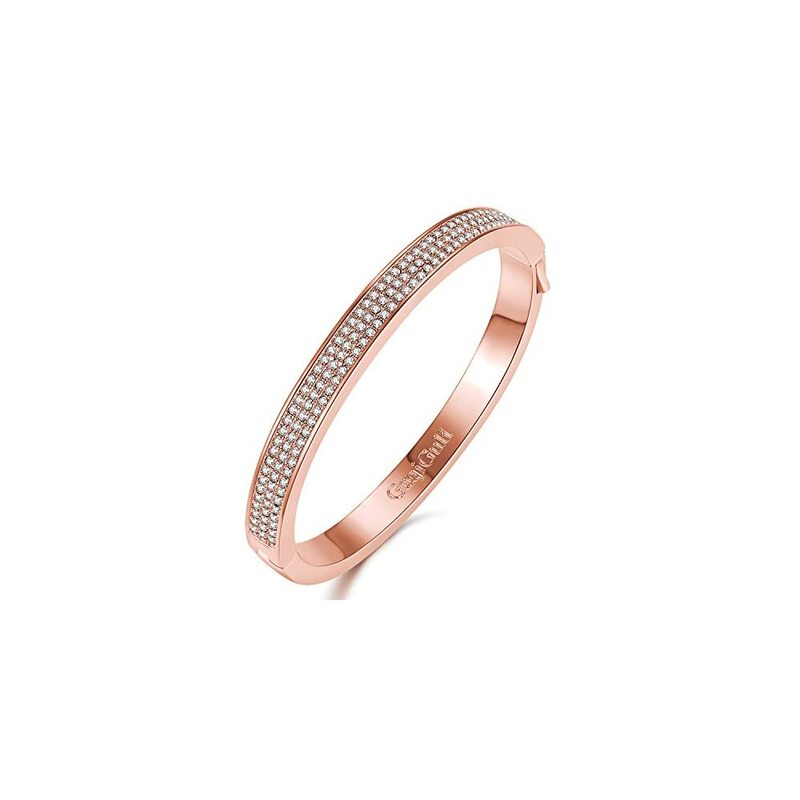 Adorned with sparkling Swarovski crystals, this chic designer fashion jewelry looks great worn solo or in a stack. 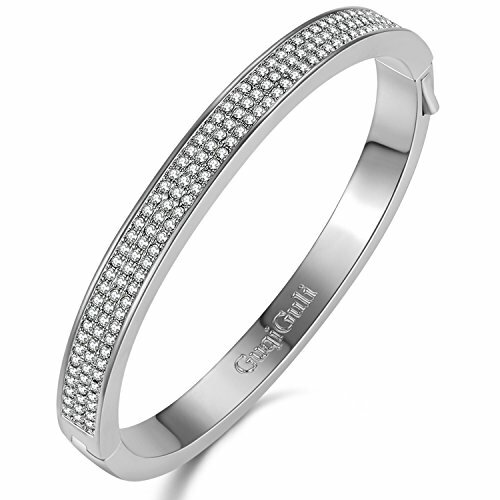 GuqiGuli is a popular fashion jewelry brand trended by its design team in Pairs. 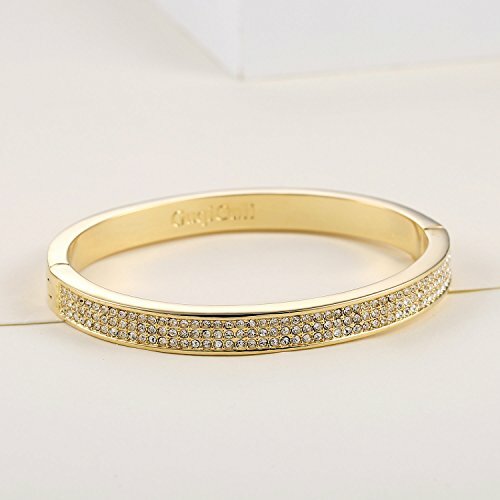 The unique bangle bracelets comes with an elegant gift box. An ideal gift for her, mother, wife, lover, fiancee, girlfriend, daughter, sister or friend on Christmas Day, Thanksgiving Day, Mother’s Day, Valentine’s Day, wedding day, anniversary, birthday or a special occasion. The best confession of love! 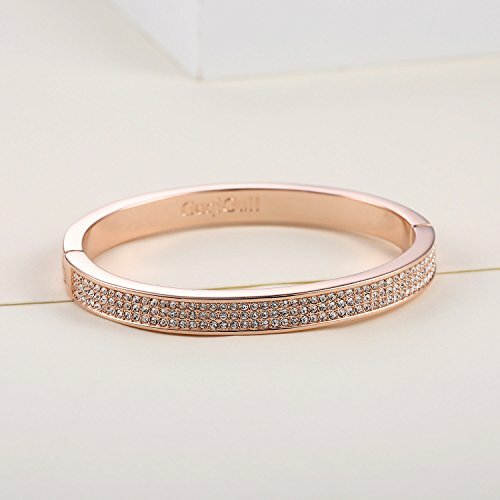 GuqiGuli is an international lifestyle fashion brand which designs, manufactures and distributes jewelry, watches and fashion accessories, that uplift the style of women worldwide. 2005: GuqiGuli Factory founded in China by President Mr. Lee and his wife Rita. First store was opened in downtown Athens. 2007:Since the beginning of 2007, GuqiGuli has become the chief OEM factory of many well-known fashion brands in Europe and America. 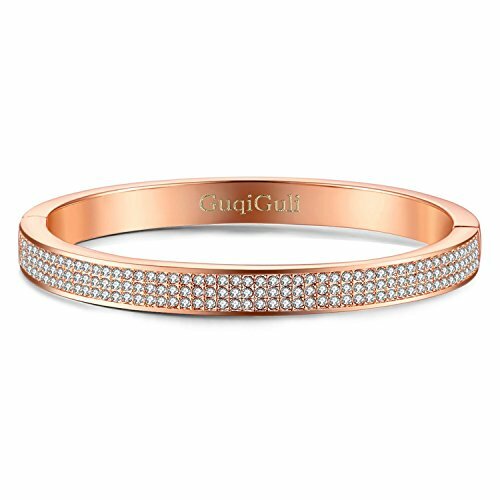 2012: Launch of the GuqiGuli Brand – GuqiGuli is an international lifestyle fashion brand which designs, manufactures and distributes jewelry and fashion accessories. Every adorable customer in GuqiGuli deserves the best customer service. We promise:30-day money-back guarantee for any reason & 12-month warranty for quality-related issues. ♥GuqiGuli customer service♥ 30-day 100% satisfaction and money back guarantee; 1-year product warranty against defective manufacturing and components. Add it to your Wish List for our latest promotions. We are striving for your 5 Star feedback. 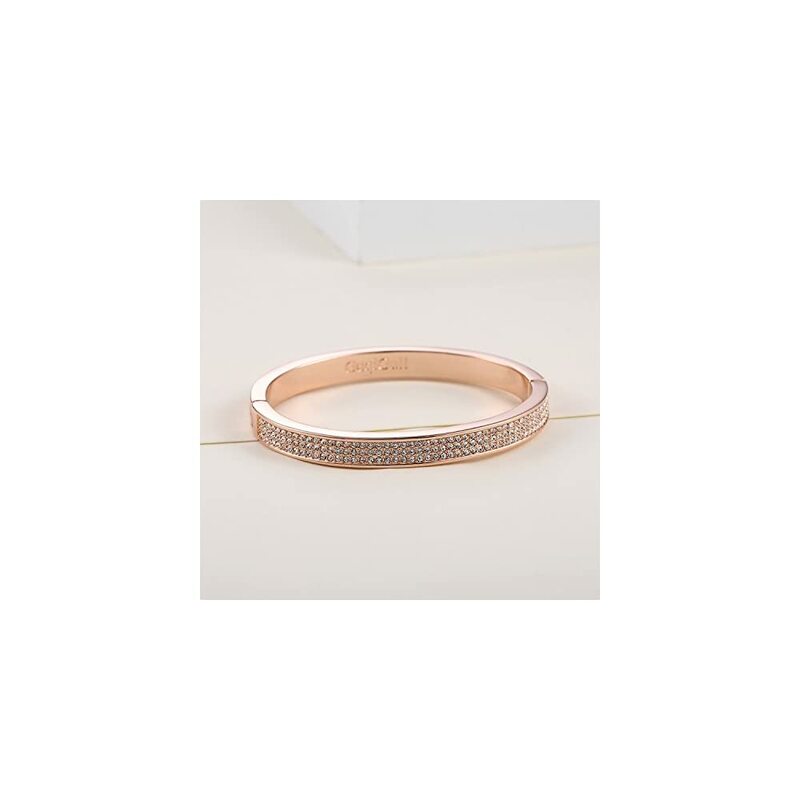 I love rose gold and the stones give this a beautiful sparkle, at such a great price I might treat myself to this as it is really beautiful. Very pretty bracelet — like the rose gold color and skinny bangle style.